An interface is selected in the table or on the desktop by pressing the left mouse button. By double-clicking the mouse button on the interface, or by pressing the button , the interface editing mode is turned on. The interface being edited is highlighted in blue and it is possible to change its shape. Input is terminated by pressing the button (adds the input interface into the interface list), or by pressing the button (changes are discarded). In the table list, or on the desktop select an interface. Pressing the right mouse button on the interface (table row) opens the context menu. 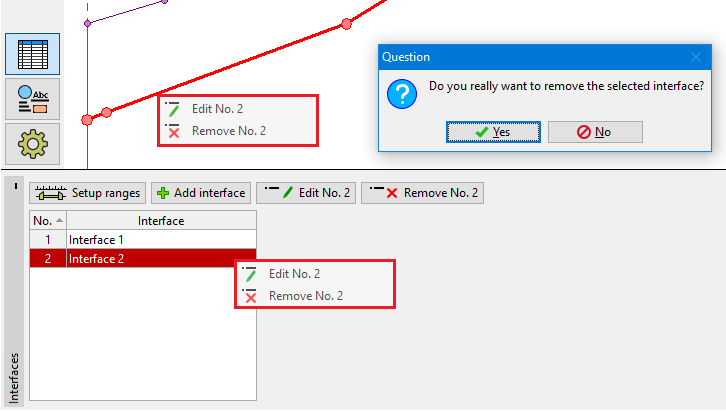 After pressing "Remove" the program highlights the interface and the table row in red. After confirmation by the user, the interface is removed. 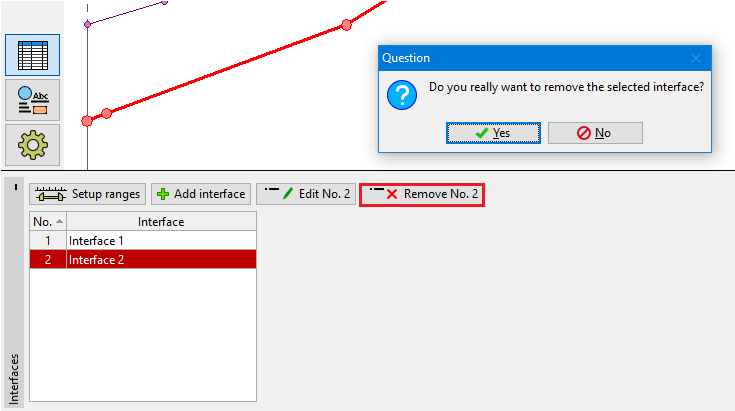 Alternatively, it is possible to select interface in a table and press "Remove". Further process is the same as described earlier. 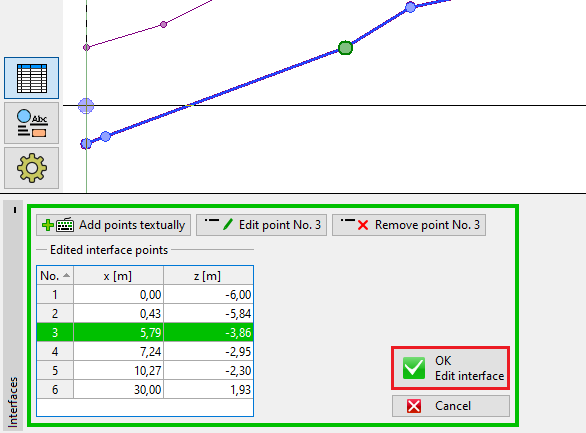 After interface edit, automatic interface corrector (as after adding interface), which checks the interface shape, and corrects the end points if required.